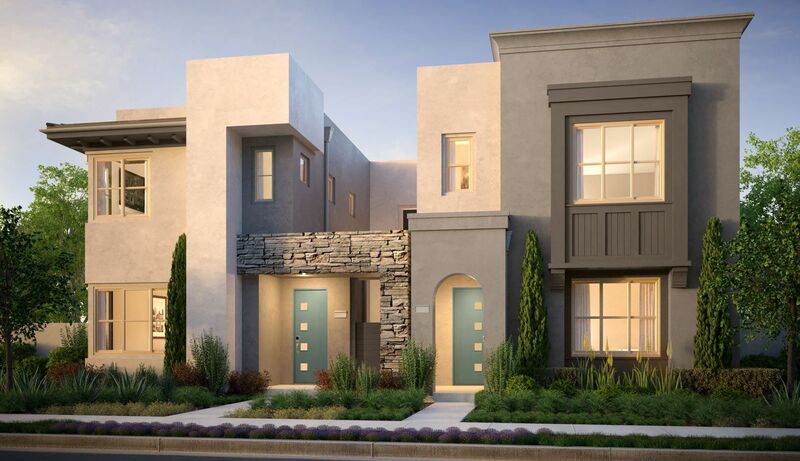 Irvine has jazzed it up with Lyric, the newest collection in the award-winning Great Park Neighborhoods now selling in Cadence Park. At Lyric, find 3- to -4 bedroom, two- and three-story homes boasting clean-lined modern design, starting from the low $800s to the $900s. It’s a place where creativity can thrive, and not just because Cadence Park is home to its own arts village. Lyric features airy open floor plans and swoon-worthy architectural details—inspiring, inside and out. Sunlit spaces. A sparkling kitchen to ignite your culinary curiosity. Optional third floors with a rooftop deck and bonus room. Maybe it’s your art studio. Maybe it’s your yoga room. Maybe it’s a party pad, ready to be filled with friends, family, good times and laughter. Maybe it’s all of the above. Lyric is about saying yes when life provides the next great adventure. And outside, Cadence Park is a place of rhythmic moods, all emanating from the park that flows from end to end in one continuous green space. Hit the bike path or head out for a stroll. Steps from your front door, find The Studio, The Gallery and The Courtyard; collaborative spaces for neighborly creativity and community areas for visual, music and performing arts. And for families, discover the excellence of the Irvine Unified School District educational system. Lyric is ready to move you.